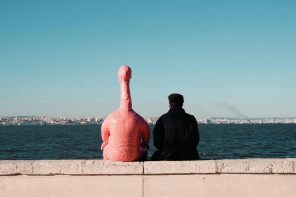 The “Psychogeographic Guide of Lisbon” exhibition is a result of a partnership between Lost Lisbon Hostel / Lost Collective and the Lisbon Street Art and Urban Creativity International Conference 2017 Parallel Activities. 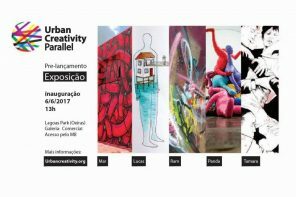 The exhibition will take place in Lost Lisbon (Cais do Sodré) on June 9th, 2017 and will be presenting original pieces from urban artists: Dirty Cop, Gonçalo Mar, Lucas Almeida, Ram, Robert Panda, Nomen, Tamara Alves and Youthone. The “Psychogeographic Guide of Lisbon” exhibition It’s a partnership with Lost Lisbon Hostel / Lost Collective, integrated in the Parallel activities of the Lisbon Street Art and Urban Creativity 2017, International Conference, that will occur in 6,7 and 8 of July. 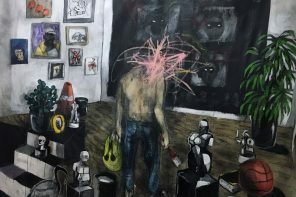 In this collective exhibition will be presented original pieces from invited authors. This pieces reflect the author personal perspective on the Map of Lisbon. From a selected group of the most prominent visual signs authors from graffiti and street art local scene, gathering the pioneers with the revelations, on a open range of technics and genres. This exhibition will be published in the Psychogeographic Guide of Lisbon book that will be launched within the program and in the conference dates. Dirty Cop, Gonçalo Mar, Lucas Almeida, Ram, Robert Panda, Nomen, Tamara Alves e Youthone. 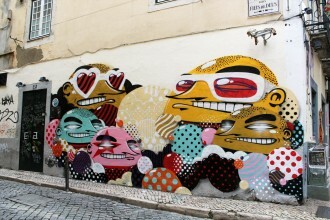 Documenting Portuguese illustration, graffiti, stencils, stickers & urban art to the world and everything about the personal work of Target, a something like an artist, living in the beautiful city of Lisboa, Portugal.